Floor beds have become extremely popular in North America in recent years. They are the recommended sleeping arrangements for children whose parents follow the Montessori school of child-rearing. At the same time, they have become more and more popular for adults and people of all ages. Floor beds offer some advantages over traditional Western beds. Indeed, many Asian countries have been using floor beds as the standard type of bedding for hundreds of years now. Learn more about floor beds, their pros and cons, and some online retailers that sell floor beds in this introductory guide. What is a Floor Bed? A floor bed is a bed on the floor. It’s that simple. Really, in practice, this means a basic mattress or some other form of padding, placed directly on the floor. This is in contrast to traditional beds that have bed frames and then may have a box spring, slats, or other support mechanisms below the mattress. It’s also in stark contrast to the normal sleeping arrangements with babies and young children, where they are first put in a crib, and then later onto a bed with guards/rails or bumpers, to keep children from falling off the crib or bed and injuring themselves. With a floor bed, there is no risk of a fall, since the distance between the bed and the floor is negligible. This makes them extremely popular with young children and babies and is one of the main reasons why they are pushed as the default bedding choice in Montessori child rearing. To buy a floor bed, you can buy a traditional mattress and place it on the floor, or more specialized floor beds that are designed specifically for that purpose. 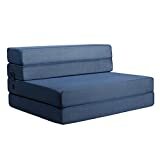 You can also utilize air mattresses and other similar bedding technology. Many of these kinds of floor bed options are available from major online retailers, as highlighted below. Wayfair is a major online store selling furniture and home goods items of all types. They offer free shipping and have a wide range of choices in their catalog of options. 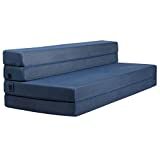 Traditional mattresses, air mattresses, and other kinds of floor beds are all available in a variety of styles, colors, materials, and sizes. Prices range from very affordable to a bit more expensive depending on brand, quality, and style. 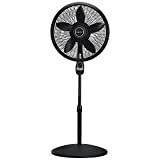 Amazon offers incredibly low prices on many tens of thousands of items. While traditionally a bit lacking in the large home furnishings department, floor beds are an exception to that rule. 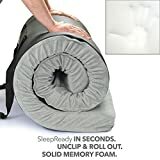 Likely owing to the fact that they are largely compact (compared to a traditional bed and bed frame), you’ll find more options for floor beds on Amazon than for many other styles of beds or bed furniture. Though online marketplace eBay is mostly synonymous with selling old collectibles, vintage records, keepsakes, and other “garage sale/swap meet” kinds of items; they’ve worked hard in recent years to develop a robust set of marketplace vendors. Much like non-Amazon sellers who sell through Amazon, these sellers often offer new, unopened merchandise – sometimes direct from manufacturers – but at a discounted price. Inventory is changeable, and your options may be limited from day to day, but it’s worth a look – you might just score a great deal on a floor bed. US retail kingpin Walmart has an extensive online catalog, reflective of almost everything they stock in their stores, as well as offerings from third-party sellers. Indeed, their furniture offerings in some areas online far exceed what is usually available in stores. 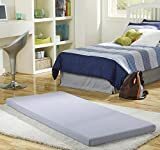 Floor beds and beds of all types can be readily found on Walmart in most regions of the US, and usually at competitively low prices, as is the Walmart way. Swedish furniture giant IKEA has made a name for itself in Europe, North America, and elsewhere as one of the go-to choices when consumers need a furniture product. They offer several floor bed options, ranging from the affordable DIY style that is synonymous with IKEA, to higher-end options that cost a bit more. They have one of the most extensive collections of furniture choices on the planet, so they’re always worth some online searching to see what’s available. Is Sleeping on the Floor Healthier? His means your body rests more flatly and is more evenly supported. This can help improve blood circulation throughout your body, as well as relieve and prevent the development of neck, shoulder, and back pain. Many pregnant women who have tried floor beds find they often have less hip and joint pain as well. At the same time, there are tradeoffs. For those with allergies or breathing problems, floor beds can be problematic, as they often increase the amount of dust, danger, and other household irritants that you are exposed to on a regular basis. And, obviously, sleeping on the floor may be unrealistic for older individuals, who have trouble getting in and out of a raised bed, and would find rising from a floor bed nearly impossible. For both adults and young children, floor beds are largely quite safe. 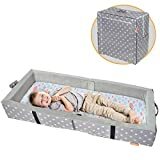 Indeed, in the case of babies and infants, floor beds are seen as safer than cribs, the other traditional option, because there is no risk of dangerous, potentially deadly falls. At the same time, parents can feed their child on a floor bed, with minimal fuss and adjustment. They can sleep in the floor bed with the baby, or on an adjacent floor bed, without issue. This improves the quality of sleep that adults with newborns and young children can get, and helps keep the child safe from falls or excessive disruption to their own sleep. What are the Benefits of a Floor Bed? Floor beds, in addition to the aforementioned reduced fall risk for children, and potential pain relief and circulation improvement for adults, also have other benefits. In the case of infants and toddlers, floor beds can allow them to be more independent and self-entertaining. If they awake from a nap or sleep, they can crawl around and play with toys on the floor, and not rely on crying to wake a parent to remove them from their crib. This can also increase the quality and quantity of sleep that parents can get – something that is precious and critical during the first few years of a newborn’s life. What are the Negative Aspects of a Floor Bed? At the same time, there are some negatives associated with floor beds. Increased respiratory issues, due to exposure to dust and other debris in the home, is more likely when sleeping on a floor bed vs. a traditional bed. Likewise, you’re more vulnerable to insects, rodents, and other pets that might be in the home. Proper cleaning of the home and remediation of any insect or rodent problems can eliminate these negatives. That only leaves the unsuitability of floor beds for the elderly or those with limited mobility as a functional negative aspect of floor beds. Otherwise, they’re quite neutral or positive as compared to traditional bed choices. Sleeping on a bed on the floor may seem strange to some Westerners at first, but many Asian cultures have been doing just that without issue for hundreds of years. The benefits to health, as well as the safety and independence factors for toddlers and young children, are numerous, concrete, and logical. Floor beds can also be inexpensive compared to traditional beds, take up less room in the home, and even offer cooler and more comfortable sleeping conditions, especially in summer months. Whether or not a floor bed is right for you, your child or your whole family is a choice that is ultimately up to you as a consumer to make. But now, you can do it based on facts and information as presented above in our guide.